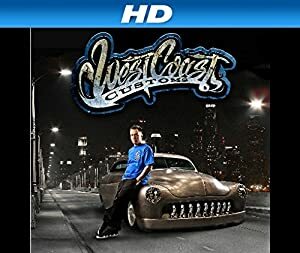 West Coast Customs – Season 1 (2013) – What's New on Netflix Canada Today! West Coast Customs, a mecca for well-heeled car lovers, stars as their team creates some of the most luxurious, outrageous vehicles on the planet. The comic book world descends on WCC when Kia and DC Entertainment tap Ryan and the crew to build two super hero inspired cars. Watch as WCC transform a Forte Koup and a Rio into two of the Justice League’s superheros – the Flash and Aquaman. WCC sets out to prove that Line-X isn’t for bedliners anymore. The team will create a special 2013 Camaro that will be Line-X’d inside and out. And since they are the premier custom car shop on the planet, they won’t stop there. It’s time to head south of the Boarder for this build. The Ohana Group has challenged WCC to create the ultimate Taco and Margarita buses that they can use for clients at the new Maravilla resort in Cabo San Lucas.